"An Immersive Art Experience FLUXe 2011"
Part 5: Scotiabank Presents "An Immersive Art Experience FLUXe 2011" --Creative Vision: Steve Di Lorenzo, Pixel, Toronto Canada; Intensity: "A Fresh Perspective on Urban Living." Part 1: Casa Loma, The View from Austin Terrace; Casa Loma -- Former Estate of Sir Henry Pellatt, a Visionary Financier -- Sadly, Pellat Lost His Dream Castle to Debt and Taxes; Casa Loma, Viewed from Austin Terrace and Spadina Rd. Niagara Spanish Aerocar, Maid of the Mist, Victoria Park Restaurant, Skylon Tower. Parts 4-6: Clifton Hill: The Street of Fun at the Falls. The Great Canadian Midway, Movieland, Castle Dracula, The Haunted House. Frankenstein, Casino Niagara, Ripley's Moving Theatre, Rainforest Cafe. Off Clifton Hill by Night: Hard Rock Cafe, Planet Hollywood by Night, Hershey's Chocolate, On Guard for Thee. 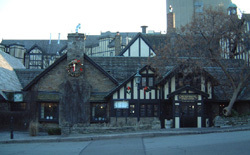 Niagara-on-the-Lake, Prince of Wales Hotel. Part 1: Hudson's Bay Magical Santa Window -- Christmas Fairytales -- Magical Christmas Spirit. Part 2: Magical Christmas Spirit -- Hudson's Bay Colors -- Hudson's Bay Toyland Window. Part 3: Magical Holiday Windows -- Magic at The Bay Queen Street -- Enchanting Christmas. 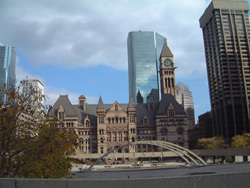 Part 1: Nathan Philips Square - Toronto City Hall. Part 2: Old City Hall. Part 1: Eaton Center, Sears, Shop Dine Tour Toronto, Dundas Square. 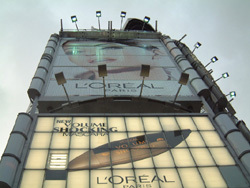 Part 2: Eaton Center Flashing Billboards, Hard Rock Cafe, Sears, Cadbury. Part 3: Eaton Center, Multilevel Shopping, Williams-Sonoma, Godiva Chocolatier. Part 4: World's Biggest Bookstore, HMV, Guess, Boathouse. Part 5: Sam the Record Man, Pizza, Zanzibar. Part 6: Yonge and Gerrard, Yonge and College, College Park, Yonge and Wellesley, Yonge and Gloucester. Part 7: Good Bush-Bad Bush, House of Lords, Panasonic Theatre, Brass Rail, Bloor and Yonge, The Bay. Part 1: Harbourfront Centre - CN Tower - Queen's Quay Terminal - Mariposa Cruises - Lake Ontario. Part 2: Sailing in Toronto Inner Harbour - Toronto Islands - Harbourfront Centre - East Pier - Mariposa Cruises - Kajama. Part 3: Toronto Lakefront - Remembrance Drive - Music Park - Little Norway Cres. - Toronto Skyline - CN Tower - Marina. Part 4: Toronto Islands - Toronto City Centre Airport - Marina. Part 5: Coronation Park - Inukshuk. Part 6: Canadian National Exhibition (CNE) - Coronation Park - CN Tower - Lake Ontario. Part 7: Ontario Place - Canadian National Exhibition (CNE) - The Rogers Chinese Lantern Festival - Exhibition Place - Toronto Skyline - CN Tower. 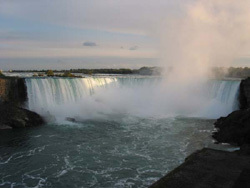 Part 8: Ontario Place - The Molson Amphitheatre - Atlantis - Lakeshore. Part 9: Ontario Place - Toronto International Dragon Boat Race Festival - Toronto's Centre Island. Upscale shopping and exclusive retail. Toronto Islands, CN Tower, SkyDome, Toronto Waterfront, Ferry Boats at Harbourfront, View from Trout Pond. 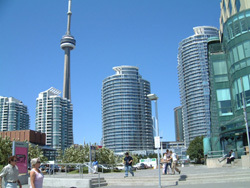 The CN Tower is the world's tallest building and free-standing structure. Part 1: Ontario Place − Atlantis Pavillions − Marina − View from Remembrance Drive − Sail Boats − Water Bomber. 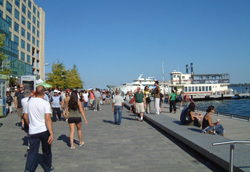 Part 2: Harbourfront Centre − Queen's Quay Terminal − Mariposa Cruises − Lake Ontario − Les Yeux Band. Part 1: Bloor Street West - Old Mill Towers - Old Mill Trail. Part 2: The Old Mill Inn and Spa. Part 3: Old Mill Bridge - Humber River - Etienne Br--l-- Park - Kings Mill Park - Old Mill and Marshes Discovery Walk.